Over the years, Latino players have achieved levels of excellence that have crossed over cultural barriers and made them universally beloved Superstars of baseball, thereby assuring that they will always be considered among the greatest to every play the game. 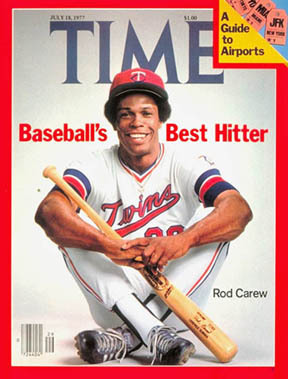 When the July 19, 1977 TIME Magazine cover story declared The Minnesota Twins Rod Carew to be the “best player in baseball,” no one doubted that it was true because he was born in Panama. And when people talk about the greatest “pure players” in baseball history, Roberto Clemente’s name is often mentioned, without reference to the fact that he was from Puerto Rico. So it is only fitting that Hispanic Heritage Month (Sept. 15 to Oct. 15) coincides with the most exciting portion of the baseball season. Today, Latinos make up a significant portion of both the Major League Baseball players and fan bases. As of Opening Day 2005, 204 players born in Latin American countries were on Major League Baseball Club rosters accounting for nearly 25 percent of the overall MLB player base. The Dominican Republic led all countries with 91 players, followed by Venezuela with 46 and Puerto Rico with 34. Contemporary Latino megastars include: Alex Rodriguez, Juan Gonzalez, Bernie Williams, Vinny Castillo, Ivan Rodriguez, Pedro Martinez, Orlando "El Duque" Hernandez. • The first Latino in professional baseball was Esteban Enrique Bellan, who played for the Troy Haymakers way back in 1871. • There are only seven Latin American-born players who are in the National Baseball Hall of Fame. The most notable among them is Roberto Clemente. 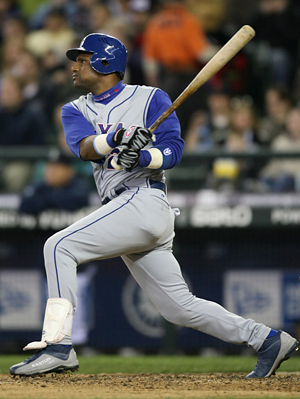 He was a 12 time All-Star who won four National League batting titles. In addition, he is only the 11th player to reach 3,000 career hits.